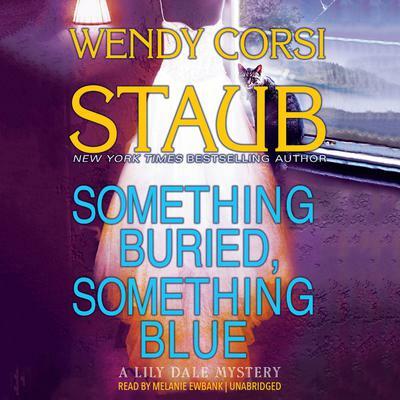 New York Times bestselling author Wendy Corsi Staub is back with the second in her critically acclaimed cozy mystery series.After agreeing to stay in Lily Dale through the winter as caretakers of the Valley View Guesthouse and its feline residents, widowed mom Bella Jordan and her son Max are looking forward to the peaceful off-season after a hectic summer. That is until the medium next door, Odelia Lauder, recruits Bella to host a destination wedding for the world’s most petulant bride, Johneen Maynard, a friend of Odelia’s granddaughter.Things take an even more stressful turn as the wedding day looms amidst an October blizzard, when suddenly the spirits start giving Odelia a major heads up that the bride might be fated for death. And when the prediction comes true just as the storm begins to break, Bella finds herself trapped in a house full of murder suspects.It’s a race to figure out who killed Johneen—and what clever murder weapon made it appear to be natural causes—before the killer catches on in Something Buried, Something Blue.